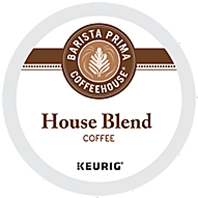 Is there a perfect K-Cup pack? You could make the argument that it’s Barista Prima House Blend! A complex dark roast that tastes straight out of a gourmet coffeehouse. Full bodied with notes of bittersweet chocolate and toasted nuts with a clean finish.